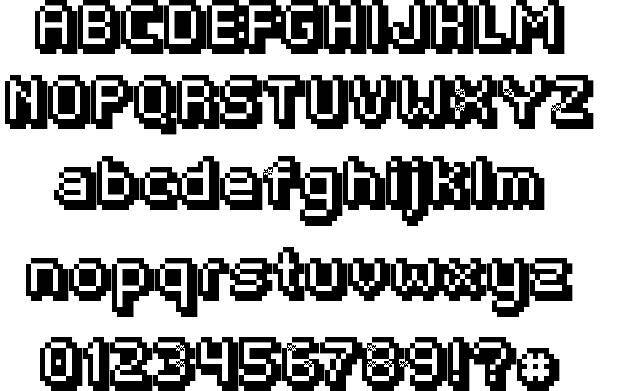 Our list of the best free pixel fonts, catalogues 30 video game-inspired, 80’s-friendly typefaces available to download online. 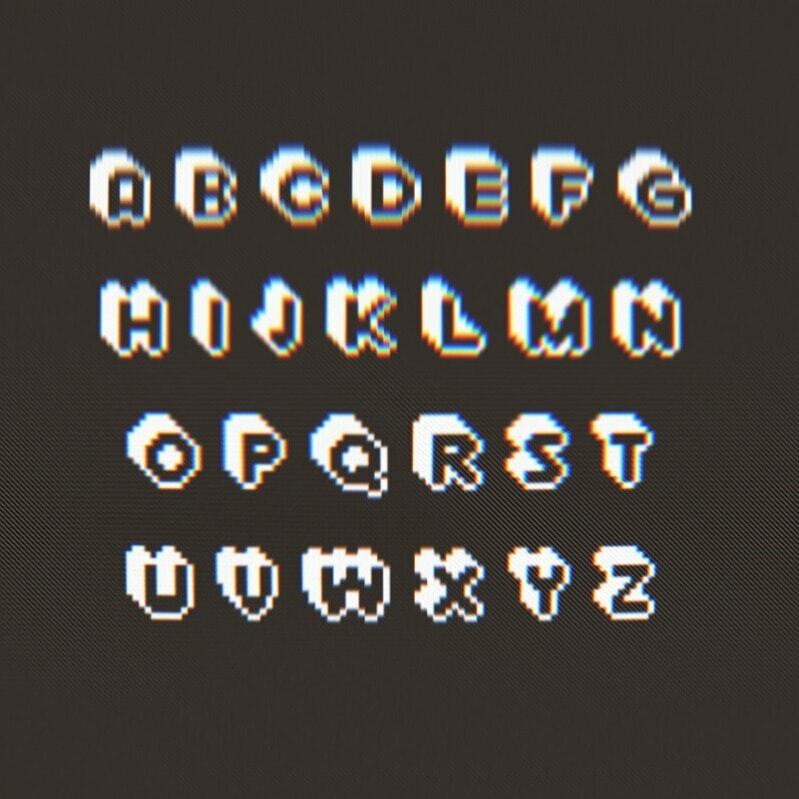 Glitched-out VHS textures, primary colour palettes and pixelated typefaces are elements of retro video game culture that continue to inspire graphic designers into 2016. 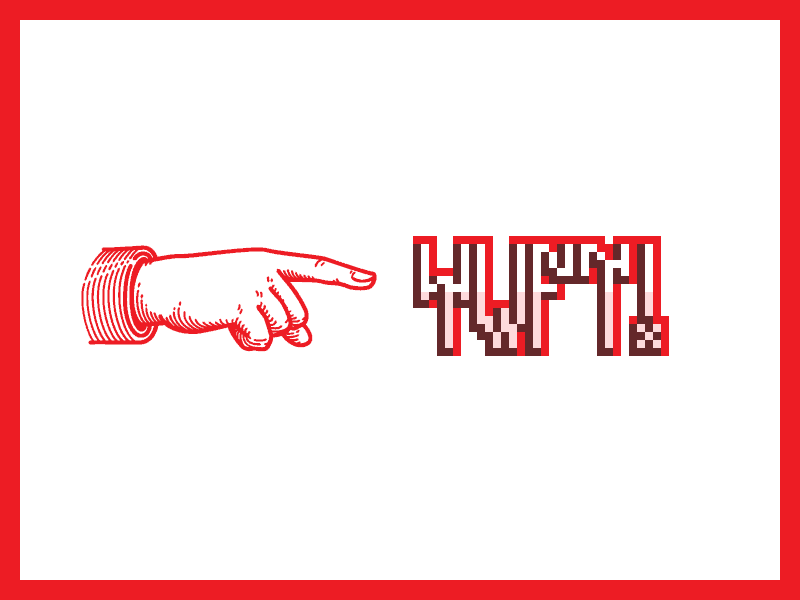 Contemporary digital artists and musicians have re-purposed the lo-fi aesthetic of the embryonic digital age into poster, album cover and UI design. 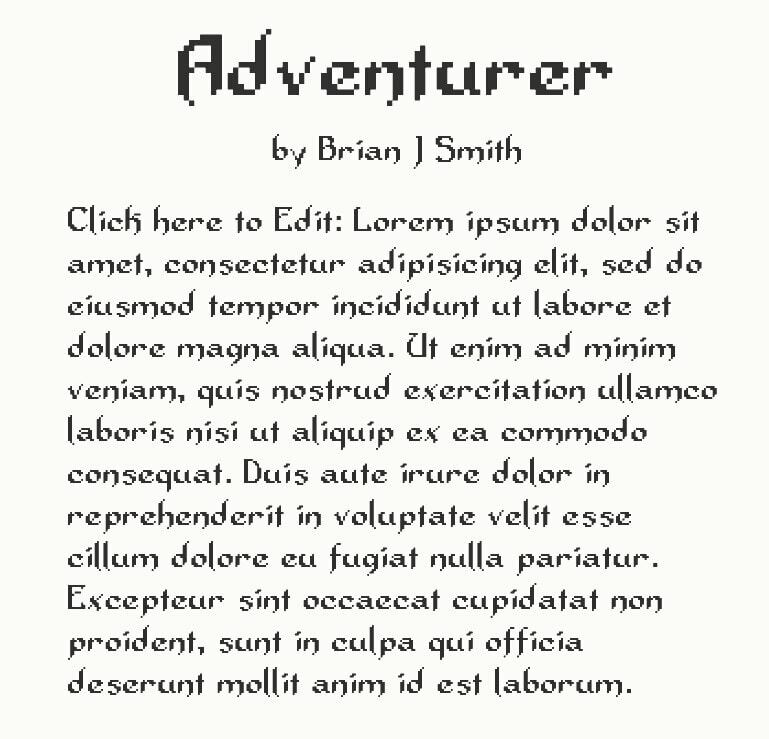 Our list of the best old-school, free pixel fonts available online, play on traditional 8-bit forms and make great display fonts for web and print projects with retro-leanings. 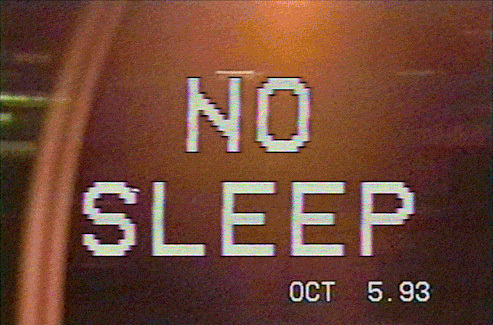 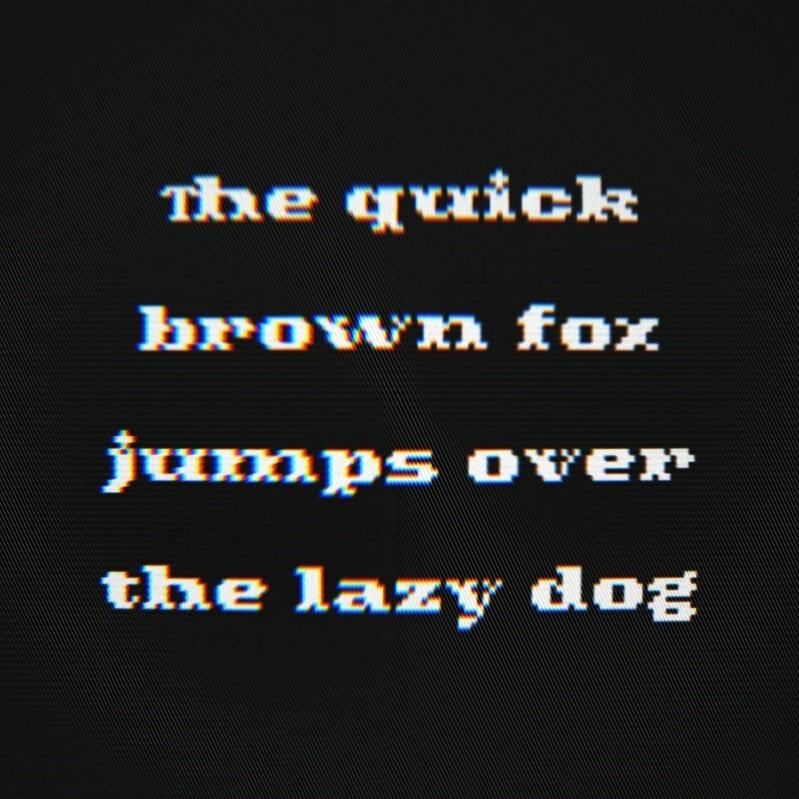 VCR OSD Mono is a glitch-y, pixelated font created by Riciery Leal which plays on forms that we covered in depth with our 8+ Best Free Glitch Fonts feature. 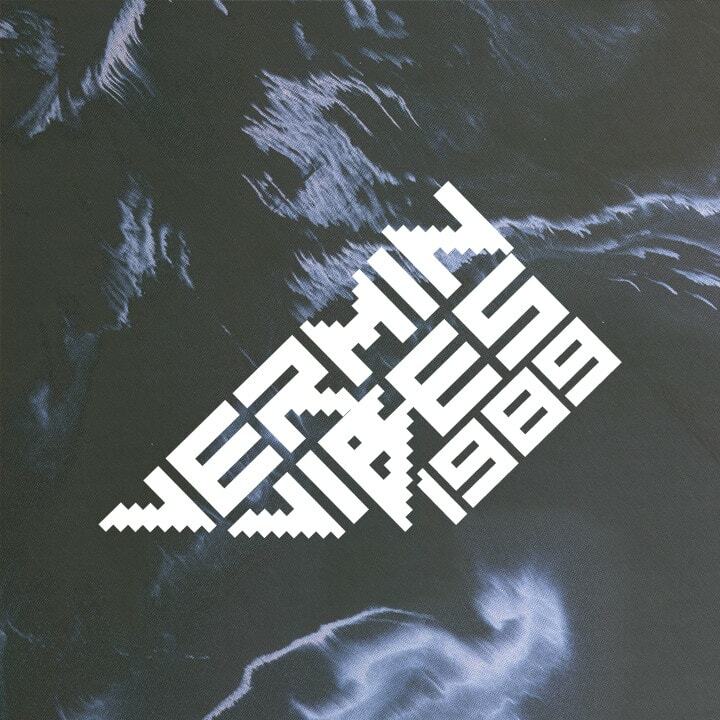 Vermin Vibes 1989 by A McCluskey created using FontStruct and is a Donationware font. 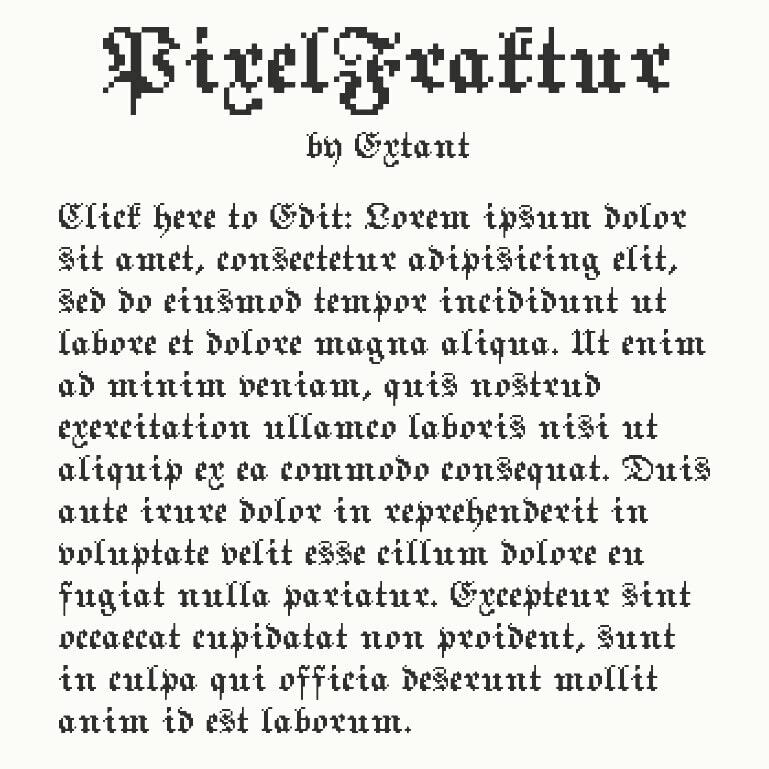 The author was tasked with creating a font surrounding the theme of Chaos & Order and produced two variants on one typeface that combines the two competing ideals. 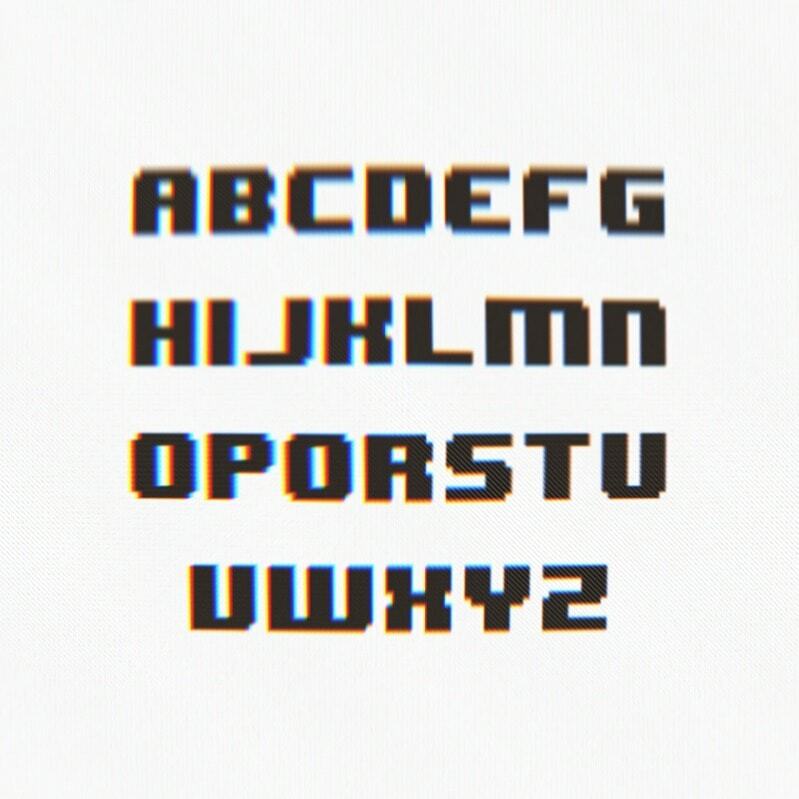 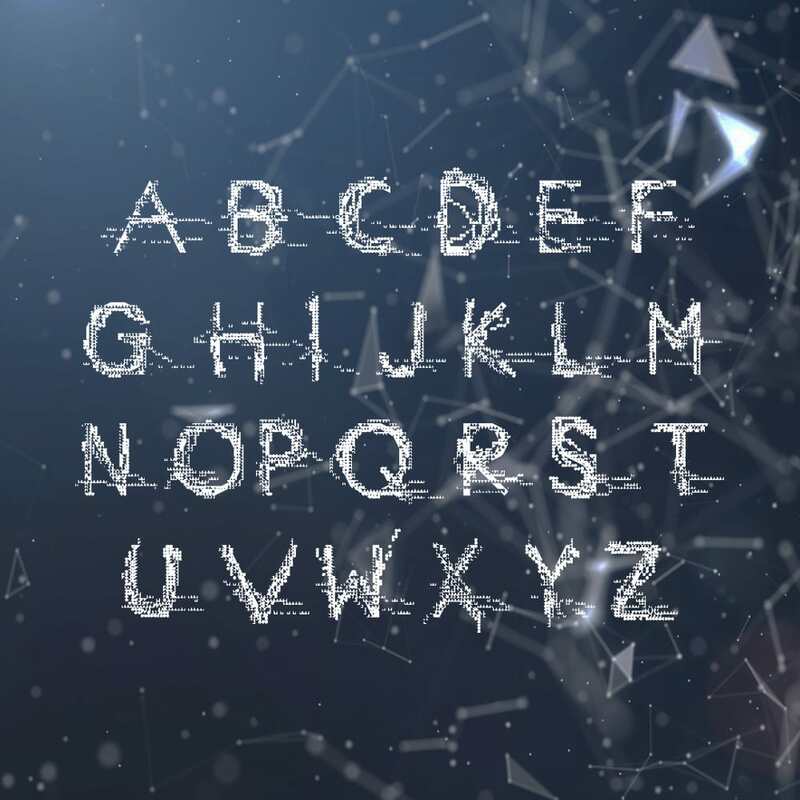 The uppercase of ‘g l i t c h’ is a chaotic, fractured version of it’s ordered lowercase counterpart. 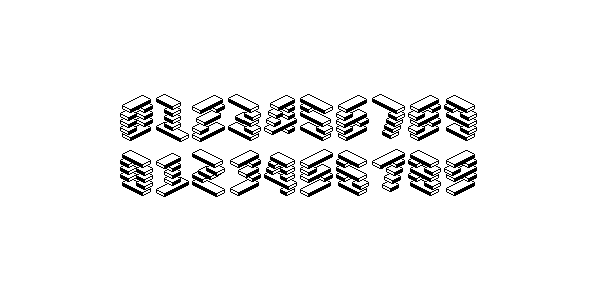 The lowercase being a modified version of ‘Open Text Rounded’ by Aron Kullander. 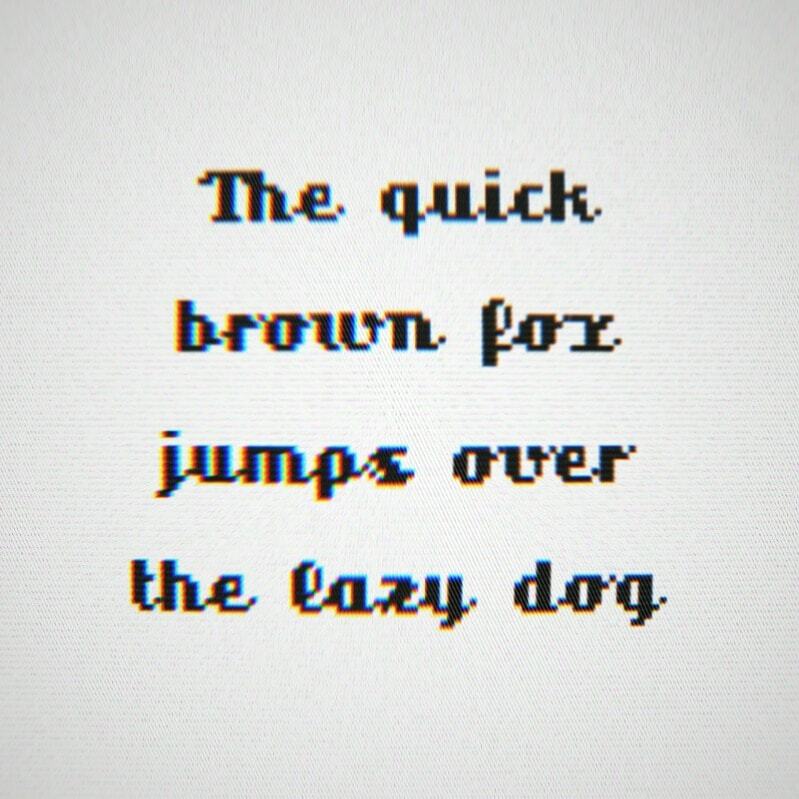 Glicth Progressive merges the two across 26 letters, combining legibility and concept. 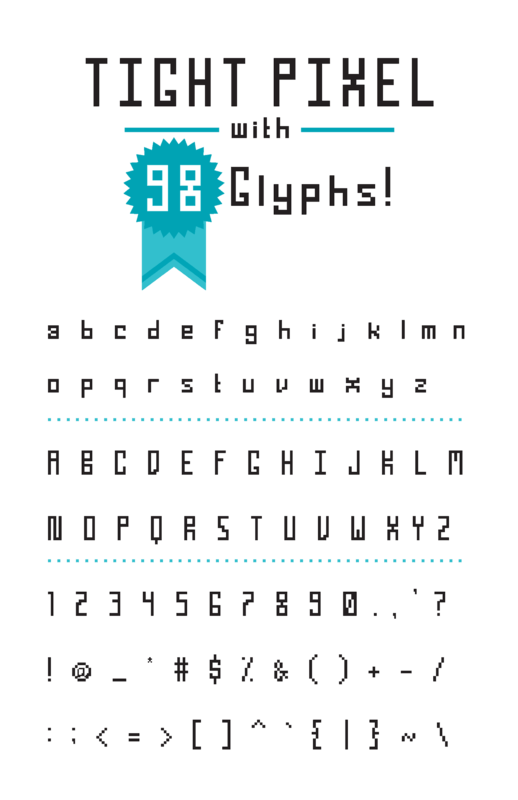 LevelRebel was made as an entry for Fontstruct’s 2014 Gamecomp. 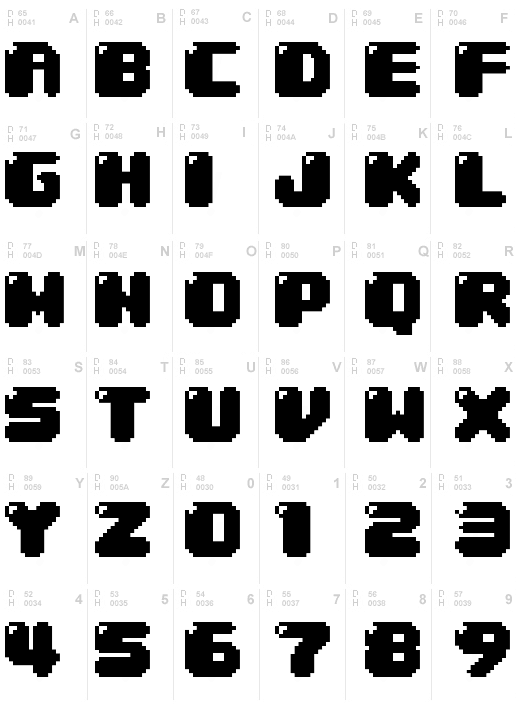 It can be downloaded for free from the Fontstruct website (requires login) and comes with a non-commercial no derivatives creative commons licence. 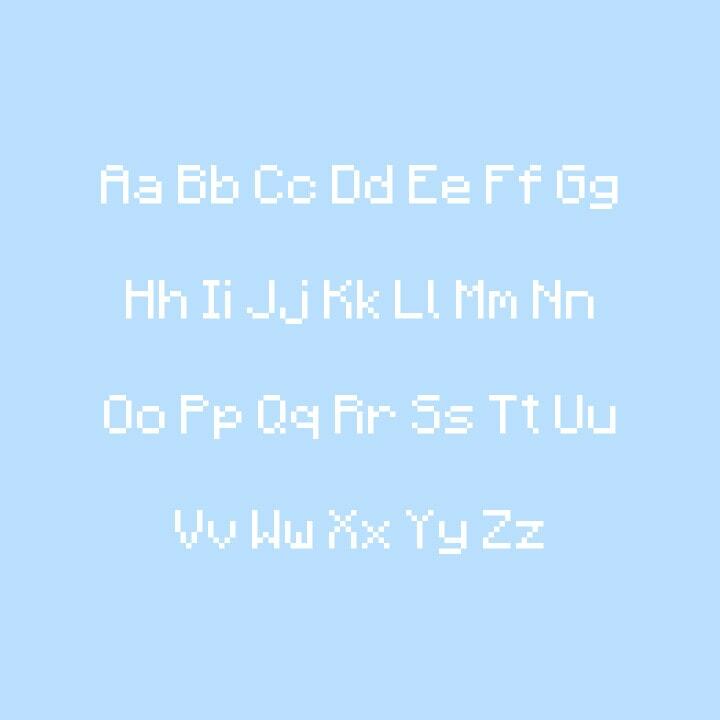 LevelRebel is a monospaced, 48-pixel high, birds-eye view, horizontally layered, isometric pixelfont. 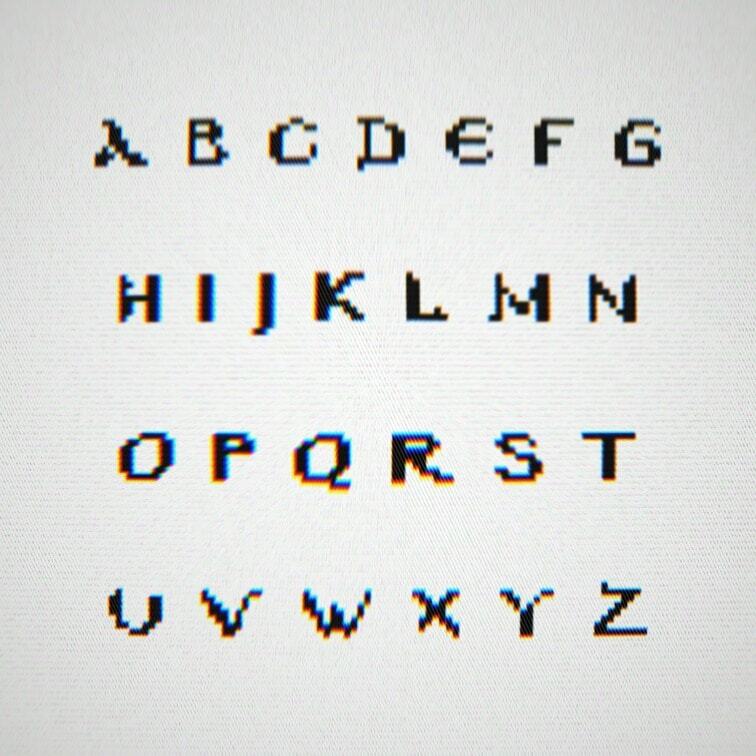 The uppercase faces to the left and the lower case faces to the right. 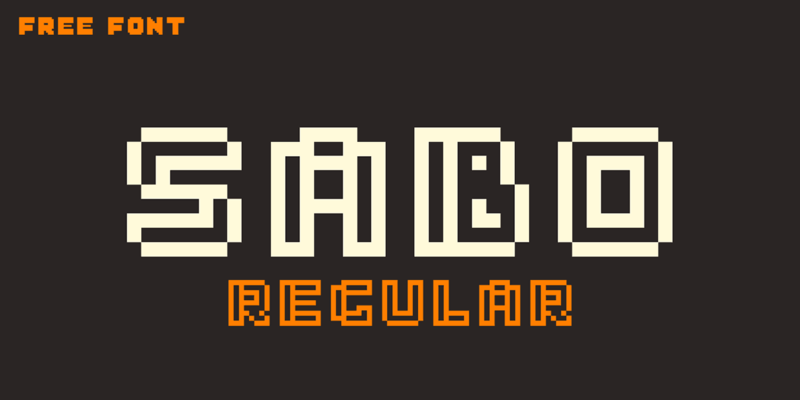 It could work as a title font for a game with a retro 3d feel and something about mastering levels, climbing storeys, stacking towers or sliding bricks or bars. 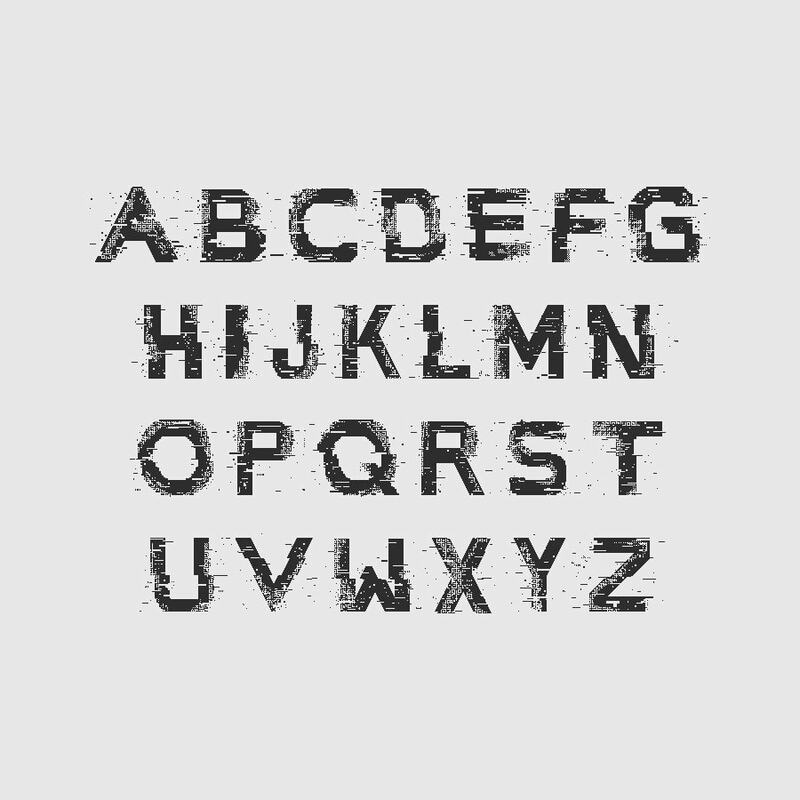 These three typeface varients play on a youth-led graffiti movement based in Brazil. 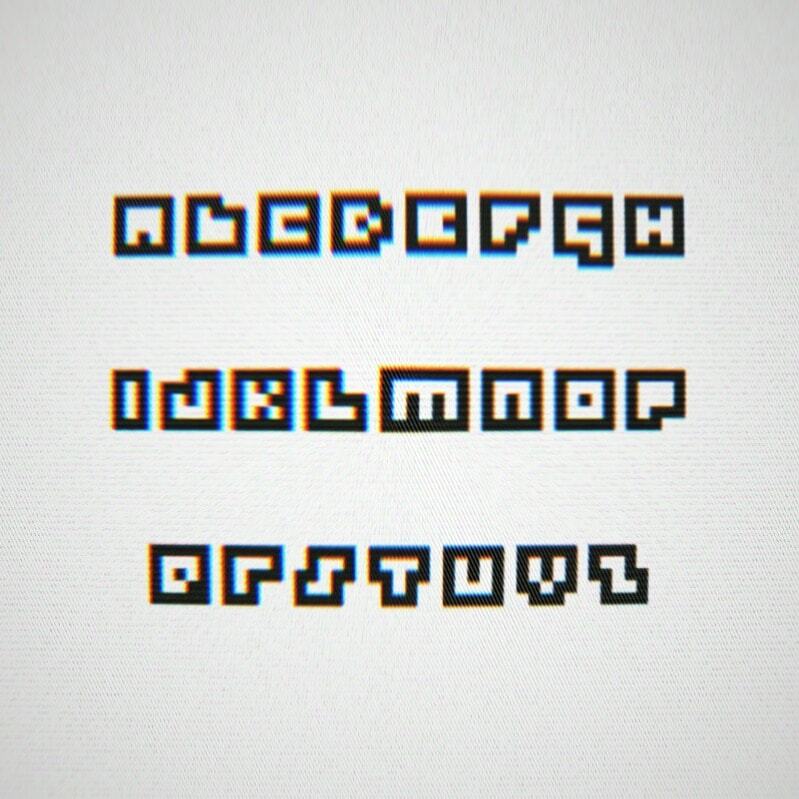 Young people sign their gang names on the top of São Paulo City buildings in tall, structured lettering, mimicking the architecture of the buildings that they have to scale. 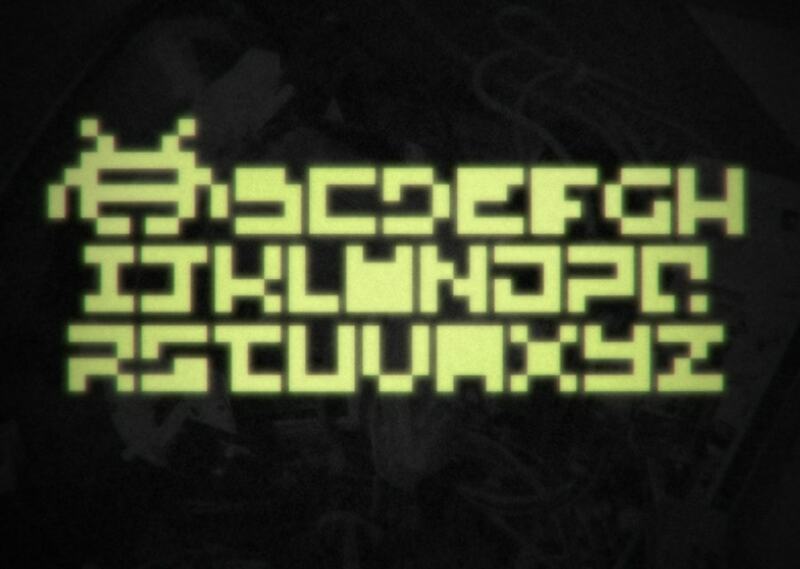 The authors first ‘fontstruction’ and typeface, based on the theme of Disintegration it’s glitched-out, 80’s video game aesthetic plays on information-age ideas of decay and de-interlacing.